The SE535 utilizes a dedicated tweeter and dual woofers to deliver spacious sound with rich bass. A detachable cable with formable wire enables easy replacement, both extending the life of your investment and providing a secure, comfortable fit. Sound Isolating sleeves in multiple sizes provide up to 37 dB of isolation, and a wide assortment of accessories offer premium customization. 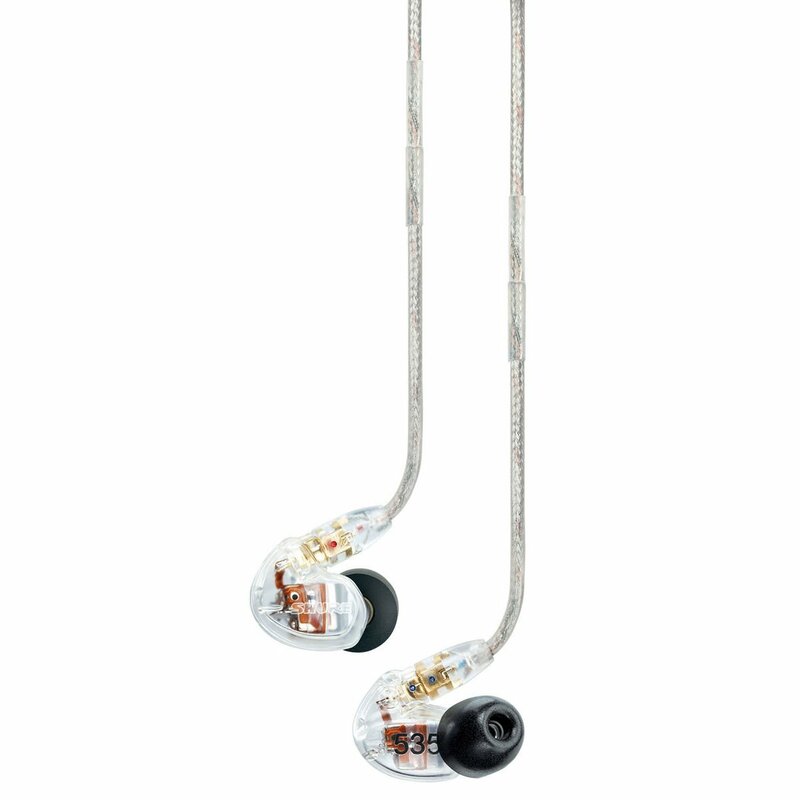 Evolved from personal monitor technology road-tested by pro musicians and fine-tuned by Shure engineers, SE535 earphones deliver an unparalleled listening experience, allowing you to hear the details of your music like never before. Durable Kevlar™ reinforced cable allows easy replacement or customization. An 1/8" (3.5 mm) to 1/4" converter for all Shure earphones that offers a solution for home stereos or other applications with 1/4" jacks. Allows for comfortable listening from any high-output audio source, including airplane armrests. Optimizes compatibility with European airplane armrests.